Luo J, Hage SR, Moss CF (2018) The Lombard effect: from acoustics to neural mechanisms. Trends in Neurosciences, online ahead of print: doi.org/10.1016/j.tins.2018.07.011. Understanding the neural underpinnings of vocal–motor control in humans and other animals remains a major challenge in neurobiology. The Lombard effect – a rise incall amplitude in response to background noise – hasbeen demonstratedin a wide range of vertebrates. Here, we review both behavioral and neurophysiological data and propose that the Lombard effect is driven by a subcortical neural network, which can be modulated by cortical processes. 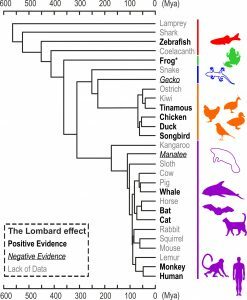 The proposed framework offers mechanistic explanations for two fundamental features of the Lombard effect: its widespread taxonomic distribution across the vertebrate phylogenetic tree and the widely observed variations in compensation magnitude. We highlight the Lombard effect as a model behavioral paradigm for unraveling some of the neural underpinnings of audiovocal integration. Hage SR (2018) Auditory and audio-vocal responses of single neurons in the monkey ventral premotor cortex. Hearing Research 366, 82-89. Monkey vocalization is a complex behavioral pattern, which is flexibly used in audio-vocal communication. A recently proposed dual neural network model suggests that cognitive control might be involved in this behavior, originating from a frontal cortical network in the prefrontal cortex and mediated via projections from the rostral portion of the ventral premotor cortex (PMvr) and motor cortex to the primary vocal motor network in the brainstem. 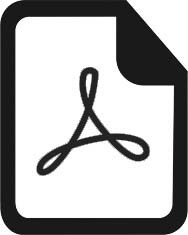 For the rapid adjustment of vocal output to external acoustic events, strong interconnections between vocal motor and auditory sites are needed, which are present at cortical and subcortical levels. However, the role of the PMvr in audio-vocal integration processes remains unclear. In the present study, single neurons in the PMvr were recorded in rhesus monkeys (Macaca mulatta) while volitionally producing vocalizations in a visual detection task or passively listening to monkey vocalizations. Ten percent of randomly selected neurons in the PMvr modulated their discharge rate in response to acoustic stimulation with species-specific calls. More than four-fifths of these auditory neurons showed an additional modulation of their discharge rates either before and/or during the monkeys‘ motor production of the vocalization. Based on these audio-vocal interactions, the PMvr might be well positioned to mediate higher order auditory processing with cognitive control of the vocal motor output to the primary vocal motor network. Such audio-vocal integration processes in the premotor cortex might constitute a precursor for the evolution of complex learned audio-vocal integration systems, ultimately giving rise to human speech. Gultekin YB, Hage SR (2018) Limiting parental interaction during vocal development affects acoustic call structure in marmoset monkeys. Science Advances 4, eaar4012. 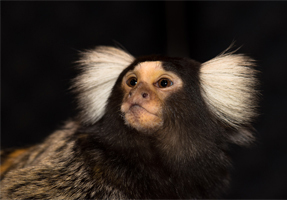 Precise motor control enables rapid flexibility in vocal behavior of marmoset monkeys. Investigating the evolution of human speech is difficult and controversial because human speech surpasses nonhuman primate vocal communication in scope and flexibility [1–3]. Monkey vocalizations have been assumed to be largely innate, highly affective, and stereotyped for over 50 years [4, 5]. Recently, this perception has dramatically changed. Current studies have revealed distinct learning mechanisms during vocal development [6–8] and vocal flexibility, allowing monkeys to cognitively control when [9, 10], where , and what to vocalize [10, 12, 13]. However, specific call features (e.g., duration, frequency) remain surprisingly robust and stable in adult monkeys, resulting in rather stereotyped and discrete call patterns . Additionally, monkeys seem to be unable to modulate their acoustic call structure under reinforced conditions beyond natural constraints [15, 16]. 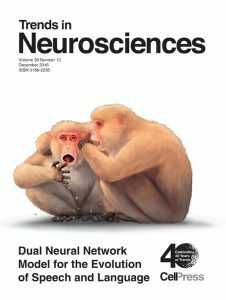 Behavioral experiments have shown that monkeys can stop sequences of calls immediately after acoustic perturbation but cannot interrupt ongoing vocalizations, suggesting that calls consist of single impartible pulses [17, 18]. 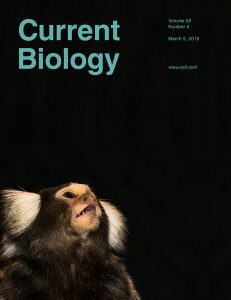 Using acoustic perturbation triggered by the vocal behavior itself and quantitative measures of resulting vocal adjustments, we show that marmoset monkeys are capable of producing calls with durations beyond the natural boundaries of their repertoire by interrupting ongoing vocalizations rapidly after perturbation onset. Our results indicate that marmosets are capable of interrupting vocalizations only at periodic time points throughout calls, further supported by the occurrence of periodically segmented phees. These ideas overturn decades-old concepts on primate vocal pattern generation, indicating that vocalizations do not consist of one discrete call pattern but are built of many sequentially uttered units, like human speech. Limiting parental feedback disrupts vocal development in marmoset monkeys. 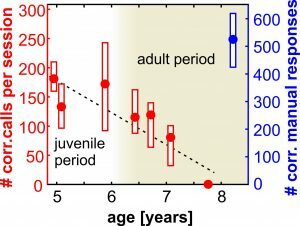 Vocalizations of human infants undergo dramatic changes across the first year by becoming increasingly mature and speech-like. Human vocal development is partially dependent on learning by imitation through social feedback between infants and caregivers. 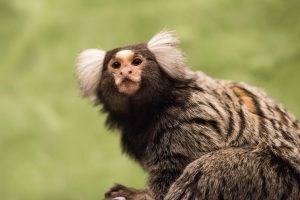 Recent studies revealed similar developmental processes being influenced by parental feedback in marmoset monkeys for apparently innate vocalizations. Marmosets produce infant-specific vocalizations that disappear after the first postnatal months. However, it is yet unclear whether parental feedback is an obligate requirement for proper vocal development. Using quantitative measures to compare call parameters and vocal sequence structure we show that, in contrast to normally raised marmosets, marmosets that were separated from parents after the third postnatal month still produced infant-specific vocal behaviour at subadult stages. These findings suggest a significant role of social feedback on primate vocal development until the subadult stages and further show that marmoset monkeys are a compelling model system for early human vocal development. Dual neural network model for the evolution of speech and language. Explaining the evolution of speech and language poses one of the biggest challenges in biology. We propose a dual network model that posits a volitional articulatory motor network (VAMN) originating in the prefrontal cortex (PFC; including Broca’s area) that cognitively controls vocal output of a phylogenetically conserved primary vocal motor network (PVMN) situated in subcortical structures. By comparing the connections between these two systems in human and nonhuman primate brains, we identify crucial biological preadaptations in monkeys for the emergence of a language system in humans. This model of language evolution explains the exclusiveness of non-verbal communication sounds (e.g., cries) in infants with an immature PFC, as well as the observed emergence of non-linguistic vocalizations in adults after frontal lobe pathologies. Developmental changes of cognitive vocal control in monkeys. Journal of Experimental Biology 219, 1744-1749.